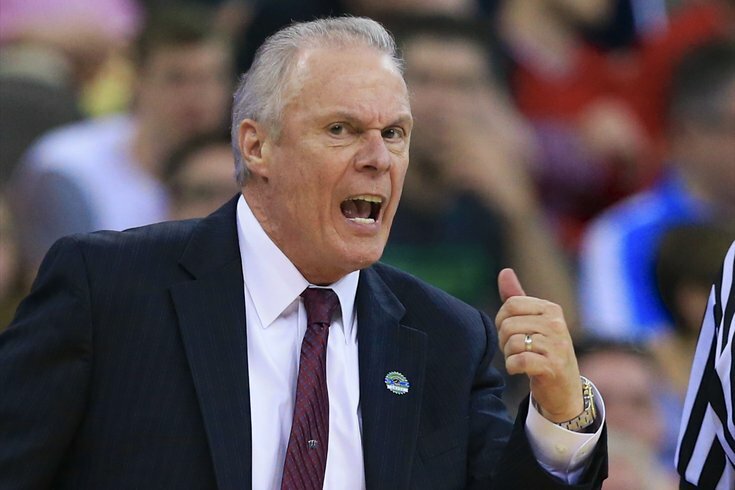 Chester's Bo Ryan has his Badgers back in the Sweet 16. If we're being honest, I'm a little bit NCAA'd out after suffering from four full days of basketball overload... and that's coming from someone who unironically wore a "Ball is Life" tee at one point of his life. Don't get me wrong, I enjoy college hoops as much as the next guy, but let's just say the upcoming three-day break comes at a very opportune time. Regardless of any fatigue, they pay me the big bucks for a reason. Let's power through these last four games of the Round of 32. Player of the Game: Kyle Wiltjer, who shot 10-12 from the field and 4-6 from beyond the arc for his 24 points, is a player with an interesting backstory who I was already familiar with. Basically, the sweet-shooting 6-foot-10 forward already has been a rotation member of a title team, the 7th man on the loaded Anthony Davis/Michael Kidd-Gilchrist 2012 Kentucky squad. After a solid but unspectacular sophomore year in 2012-13, John Calipari brought in a Family Value Meal full of McDonald's All-Americans, and it became clear that Wiltjer's playing time could actually decrease as an upperclassmen. What a world we live in. He decided to transfer to Gonzaga, primarily because it allowed him a redshirt year to work on his body. If you're interested in the full story, check out this recommended in-depth profile on Grantland from a month ago. You will see Adam Morrison crying about 4,500 times between now and Friday night. Gonzaga-UCLA S16 rematch is on. If Kaminsky sticks in the NBA, which I think he's skilled enough to do, that is definitely going to happen a few times. It sounds obvious, but even great shot-blockers get dunked on a few times. Credit Kaminsky for continuing to challenge Oregon drivers at the end of the game that saw both teams continually punch and counter-punch. Who do they have next? North Carolina! In boxing, there's a saying that styles make fights, and this would be a huge clash of tempo. UNC, who plays at the 12th-fastest tempo in the country, wants a track meet where both teams are running up-and-down the floor. Wisconsin, who plays at the 346th-fastest tempo, wants to out-execute their opponent in the halfcourt. Player of the Game: West Virginia's press. It's a bit of a cop out, sure, but Bob Huggins' team forces more turnovers than any other team in the nation, and that is precisely why they'll play another game on Thursday night. In total, Maryland coughed up the ball 23 times. Dez Wells had eight of them all all by himself. HUGGY BEAR'S PRESS IS AWESOME BABY! The Mountaineers ended up winning the game, 69-59, and they completely controlled the tempo. "I'm at the point in my life now, I'm on the downhill," Huggins said. "I've been doing this a long, long time and I'm going to be comfortable, you know? I did wear a suit for a little while this year, just because I don't like people to think they have me figured out. But that's the only reason." Who do they have next? Kentucky. Godspeed. Philly Connection? Nada. I really believe that Northern Iowa is missing a huge opportunity by looking past the Delaware Valley in recruiting. Geographically, it's a no-brainer. Who do they have next? North Carolina State, in a suddenly wide-open East Regional. Man, that Villanova loss still really sticks out as huge missed opportunity one day later.